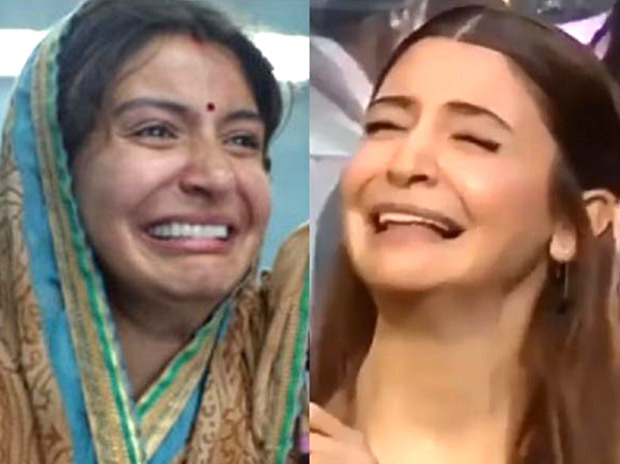 Anushka Sharma was all over the internet after her crying expression from Sui Dhaaga got famous. Netizens turned it into a meme and had a field day with it. Instead of taking offense, Anushka joined in the fun. Her director Sharad Kataria too began sharing his favourite memes and it in turn helped in promoting the movie! Thanks to Anushka’s viral meme, Sui Dhaaga became household name and it worked in the favour of makers. Much like how Alia Bhatt cashed into her trolling on Internet and gave us Genius Of The Year, Anushka too has taken the internet trend sportingly. Both Anushka Sharma and Varun Dhawan are running from pillar to post promoting their movie and by the looks of it, the movie is already a winner. For one, the trailer of the film was appreciated both by critics and masses and secondly, the audience already know Mamta and Mauji from Sui Dhaaga, thanks to all the memes. The film will release on September 28 and is directed by Sharad Katariya and produced by Maneesh Sharma of Yash Raj Films. After Sui Dhaaga, she will be seen in Shah Rukh Khan’s Zero where she is playing a scientist. Does Jessica Simpson Have The Will Power To Reclaim Her Shape?